Children’s minister Frances Fitzgerald says the Office of the Attorney General gave legal advice on the website and booklet. THE MINISTER responsible for the content of the government’s website and booklet on the Children’s Rights Referendum – which this morning was found by the Supreme Court to be in breach of its principles – has defended the government’s actions. Frances Fitzgerald, whose Department of Children and Youth Affairs was responsible for compiling the contents of the site and booklet, said her staff had acted “in good faith” when the contents were put together. She added that her Department had worked “with the best intention to ensure compliance with the McKenna principles” in the materials it had published. The Supreme Court this morning upheld an appeal from Dublin man Mark McCrystal in finding that the booklet and website published by the Department were in breach of the McKenna principles, laid down by the same court in 1995. In that case, the court ruled that while the government had a responsibility to inform the electorate about the matters being put before it, it was unconstitutional for the government to use public funds to specifically advocate a Yes or No vote in any ballot. “The provision of public information by the government has, at all times, been undertaken in good faith, based on the prevailing view as to what was permitted by the McKenna judgment,” Fitzgerald said in a Seanad debate this evening. Fitzgerald quoted from the written judgment of the current Chief Justice Susan Denham, in the McKenna case, when she said the McKenna principles “do not infringe upon the right of the government to give information, to clarify situations, or to give explanations”. The minister said the government “fully respects” the Supreme Court ruling and had “moved immediately” to act on the ruling by taking the ChildrensReferendum.ie website offline and doing what it could to withdraw its companion booklet from circulation. She added that the Office of the Attorney General, Máire Whelan, “was consulted for legal advice throughout the process” of drafting the content for the website and booklet. “This is a complex area of law and I expect the detailed judgments”, to be delivered by the five Supreme Court justices on December 11, “will assist in formulating an approach to information provision in future referendums,” she said. The minister also commented that previous referendum campaigns had been criticised because of the perception that the government had not done enough to provide information to the public. “Today’s ruling has not changed either the truth or relevance of the message – that the rights of children should be fully visible in the Constitution,” she said. Email “Minister: Government acted "in good faith" on referendum information”. 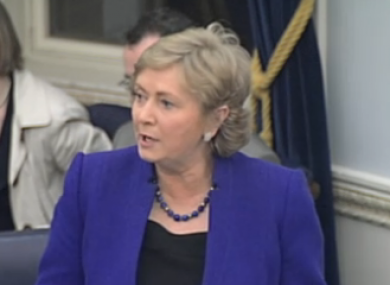 Feedback on “Minister: Government acted "in good faith" on referendum information”.